You know how the story goes. You visit a garden and see a beautiful plant. It could be a peony, maybe an iris, perhaps a heuchera. 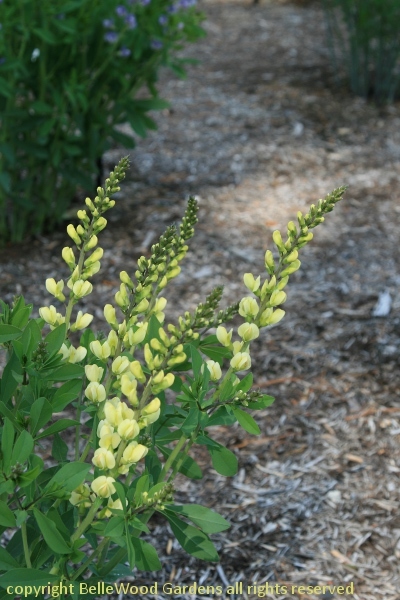 Or a baptisia. Some time later - a day, a week, next year - you visit another garden / garden center / nursery and see a different cultivar of the same fascinating plant. Now you need to remember the name of the first one, and hope your memory is accurate as to its appearance. And if you can recall the precise color of the flower petals I bet you can match wool at the yarn shop when the other skein is back home. No, what's really needed to compare this one to that one is to see them growing side by side. It's not an ornamental design, a garden. It's plant trials. And they're fascinating. Today I was invited to Mt. Cuba Center for the preview of their baptisia trial. Now, any opportunity to visit is delightful. 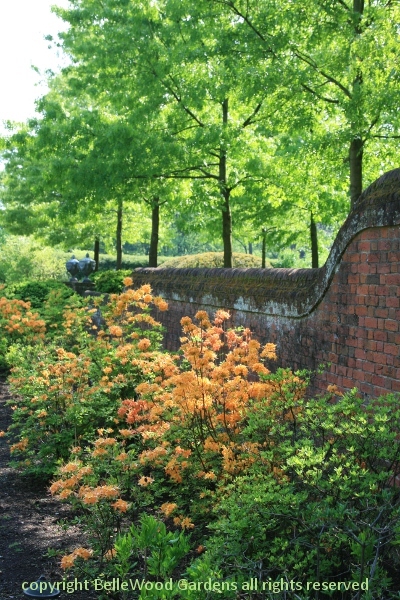 The focus is on native Piedmont plants and the gardens enticing, simple woodland trails winding among stately trees that arrive at a meadow or a pond before returning to the shady forest. Heretofore the grounds were open by prearrangement, to groups or on a few selected open days. New this year, the grounds are open Fridays and Saturdays through November 8th, for the extremely modest fee of $6. But I digress. Today's visit is for a preview of the baptisia trial. The long drive to Hockessin, Delaware went more quickly than my two friends and I expected. when this was Mrs. Lamont Dupont Copeland's estate) and we arrived at the trial gardens. 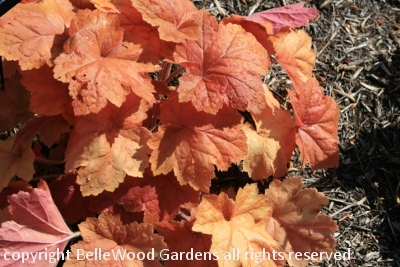 Last year it was heuchera trials. And coreopsis. 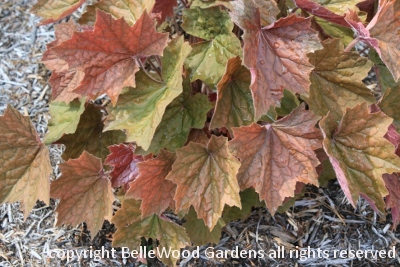 It's fascinating to see the heuchera with another year's growth. 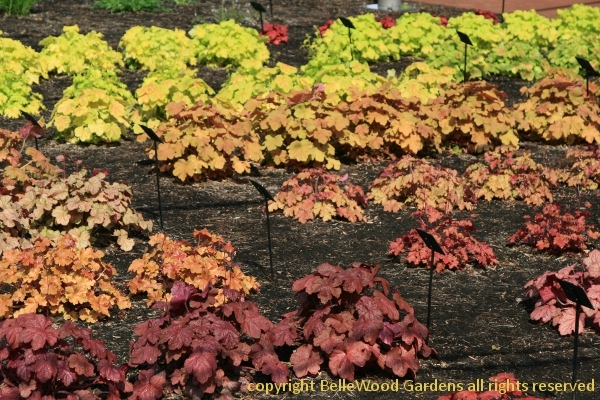 Above left, Heuchera 'Southern Comfort' and 'Brownies' on the right. Who still thinks you need flowers for a colorful garden! Camassia scilloides, the eastern species of quamash most of which are found in the West. 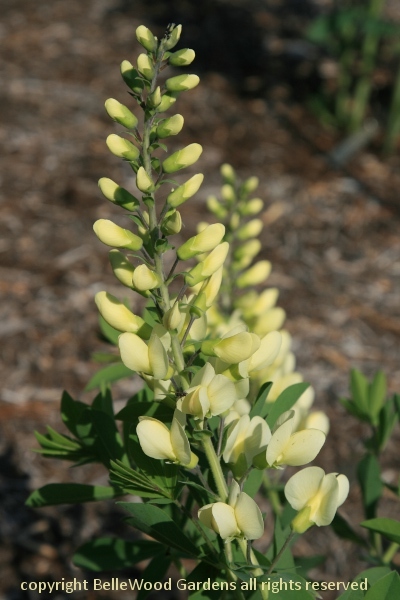 What we are here to see and comment upon though, are the baptisia. And what an assembly of baptisia have been brought together comparison. A baker's dozen from Tony Avent's Plant Delights Nursery in North Carolina. 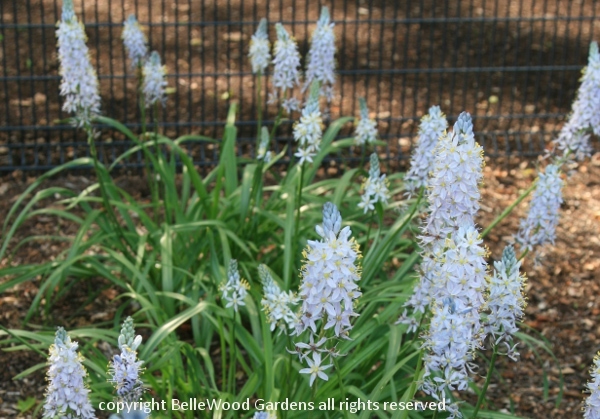 a dozen of the Prairieblues™ Series from Jim Ault of the Chicago Botanic Garden. A couple from Rob Gardener of North Carolina Botanic Garden. Species, of course. Alas, the weather has been on the cool side and most are not quite open. 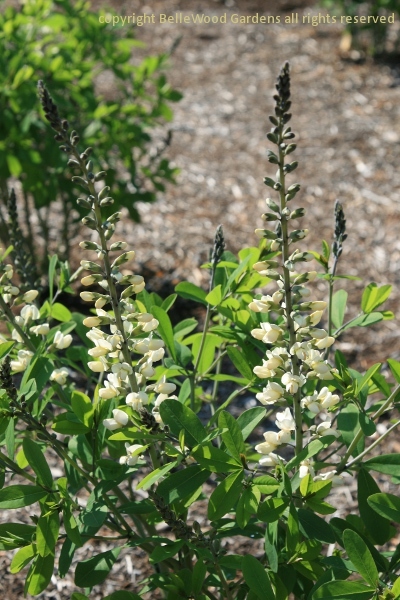 Baptisia are long lived (deer resistant too). Next year . . . . .
or his 'Spilled Buttermilk', too creamy rich for plain milk. Icy 'Creamsickle' is one of Tony Avent's delicious cultivars. Speaking of summer evenings, the baptisia trial preview concludes at 7:00 p.m. Joan, Carol Ann, and I have a two hour ride ahead of us. Though with the Open Days, Friday and Saturday from April 19th through November 9th, 10am to 4pm, with extended Friday hours until 7pm from May 3rd through July 26th we'll make a return visit. 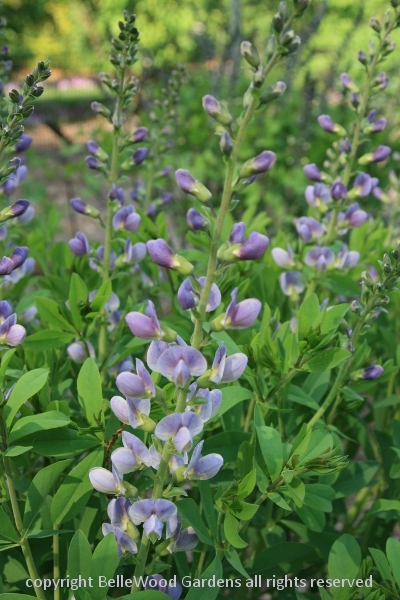 If not the baptisia - then something else. Mt. Cuba is wonderful at all seasons.